The Pioneer wolfram mine borders the north side of the Kurundi Road (Binns Track), and is the northern most major mine on the Hatches Creek wolfram field. A steel headframe, ore bins, raised tank, and other processing equipment, as well as shafts, shallow open cuts , and ore piles remain. Access is unclear, as authorities plan to erect a fence around the site for safety reasons. Opposite the mine, a track heads south to other locations on the field. Pioneer has been the most productive mine on the field, despite having a complex ore that was difficult to process. It was first applied for in 1916, but little is known of its early history. Wolfram Industries acquired the lease in 1937, Tantalite Ltd 1939-1949, except between 1942-1944 when the Commonwealth Government took over, Tungsten Industries, then McKenzie and Crespan, Pioneer Scheelite NL all between 1949 to 1952. This last company was reconstituted as Pioneer Mines NL in 1953. In 1954 Poseidon NL was formed, and acquired the lease. The mine closed in 1957 due to low tungsten prices. The lode traverses quartzite, sandstone, greywacke, siltstone of the Hatches Creek Group, and the Pedlar Gabbro. Sedimentary rocks have been converted to hornfels at the contact with the igneous rock. Quartz veins trend north-east to south-west, en enchelon, the total lode 1500 feet long, with individual lodes 300 to 550 feet long. Veins are 3 to 36 inches wide, dipping south 40-70 degrees. 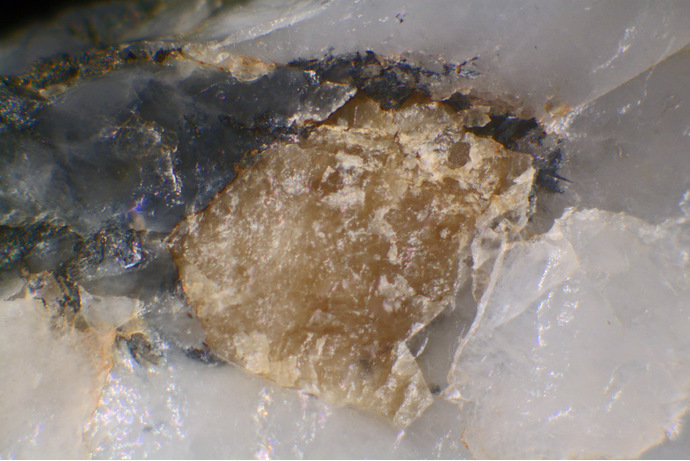 Ore in the quartz veins is about 50/50 scheelite/wolframite. Scheelite increases when the vein host is igneous rocks. With the tungsten minerals, is bismuth and copper minerals, with minor gold. Bismutite, chalcocite, azurite, malachite and limonite is found in the oxidised zone, while below the water table is native bismuth, bismuthinite, tetrahedrite, pyrite, and chalcopyrite. Bismuthinite forms fibrous patches associated with other minerals. Molybdenite is found throughout the deposit. Cu and Bi is enriched in a supergene zone. 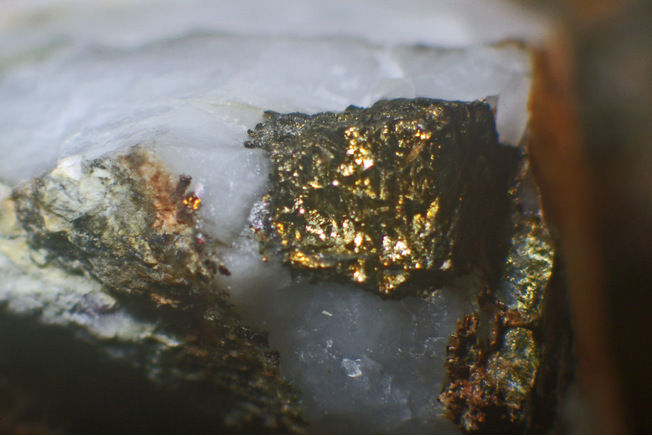 Gold is found associated with bismuthinite at 4 dwt, and chalcopyrite at 12 dwt. 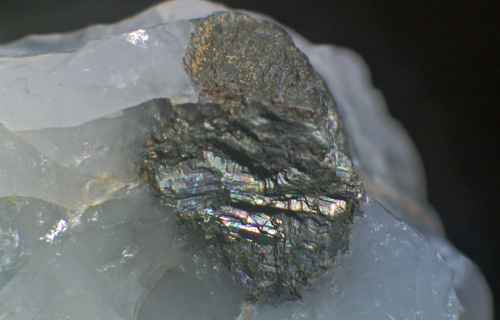 Radiating epidote and tourmaline (possibly dravite and/or schorl) clusters are noted. Ten major lodes are named, although there are many other smaller ones. The source's (Ryan) description dates from the late 1950's, and it is unclear how much of the workings described remain. Recent planned shaft filling for public safety reasons may have also influenced the site. The non-outcropping South-West Line is at the western limit of the mine area, contains 3 lodes, but only the Jensen Lode has been developed. This shows as shallow pits, and a few shallow inclined shafts (one called Boundary) along a 500 foot length. The lode contains two parallel reefs, 6-12 inches wide, dipping south 45 degrees. Dempsey's Lode is parallel to and about 35 feet north of Jensons lode, marked by shallow pits along its 240 foot length. It contains one reef, dipping south at 45 degrees, 3-12 inches wide. The Xmas Lode is accessed by the Xmas Shaft, and is north-west of Dempsey's, the reef 3-6 inches wide, dipping 50 degrees south. The Central Line contains several lodes, but only the No. 1 and No. 12 lodes are economically important, containing many inclined shafts (including the Campbell's, McArthur, and Della Shafts), and open cuts along 560 feet. The Pioneer Fault is a wide area of shearing, and intrudes the lode at the 120 foot level, displacing the east block by 20 feet. The lode contains two reefs dipping south 45-50 degrees with 3.0% WO3 in the western reef, with the poorer eastern reef dipping south at 60 degrees, flattening to 45-50 degrees east of the fault. The Della Lode is 230 feet long, with two overlapping reefs, up to 6 inches wide, dipping south 50-60 degrees. The No. 5 Lode is prominent on the surface where it joins the No. 1 Lode, but was lost underground. The No. 12 Lode is 250 feet long, yielding some ore from the Hanging Wall reef, 6-18 inches wide, dipping south 45-87 degrees, and a smaller Footwall reef. The North-East Line contains the No. 2 Lode, with high grade wolfram at the 206 foot level, the lode to 550 feet long. There are several reefs in the lode ranging from 5 to 24 inches thick, dipping south 45-55 degrees, except on approach to hornfels and gabbro where the dip is irregular. Ryan goes into much detail describing the individual reefs which space does not allow here. Sullivan, C.J. (1953): Hatches Creek Wolfram Field, Northern Territory. Geology of Australian ore deposits, p. 322-326.